AMTL Returns on May 27 with two titles on the line for "Muay Thai in the DMV"
Mayday! Mayday! The American Muay Thai League (AMTL) is heading back towards Washington, D.C. for “Muay Thai in the DMV” on Saturday, May 27, 2017. Returning to AMTL and defending his USMTA 140lb title will be Chas Coady (Level Up: Bowie, MD) going up against David Chun (Kaizen MMA: Fairfax, VA). Both Coady and Chun were featured in the AMTL 4 man Tournament on March 11, 2017 in which both fighters showed amazing skills, but didn’t face each other…….until now! 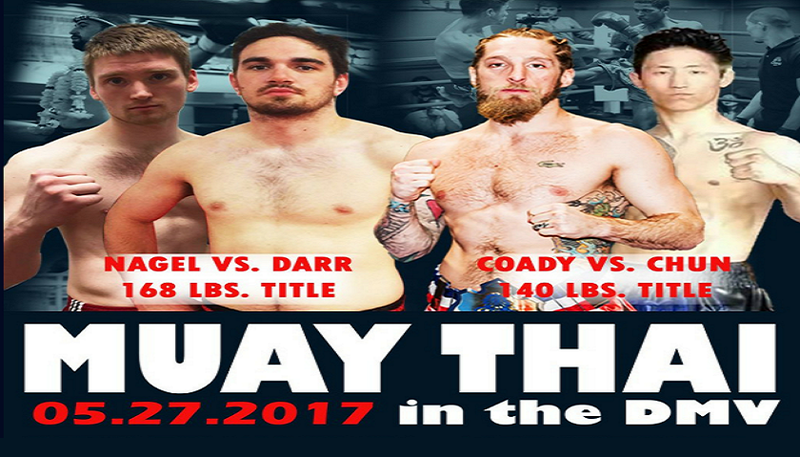 Additionally, the main card will feature another intriguing bout featuring Jake Darr (Ground Control: Baltimore, MD) vs. Holden Nagel (Eight Points Muay Thai: Winston-Salem, NC) for the vacant 168lb USMTA Mid-Atlantic title. IAlong with these two title fights, the undercard will have 13 Muay Thai bouts featuring upcoming prospects competing from the DMV, New York, North Carolina, and Florida regions. All the excitement will take place at the Thurgood Marshall Center for Service and Heritage (TMCT) located in Washington, D.C. Tickets for this event are available NOW priced from $45 and are only available at AMTLPromotions.com. 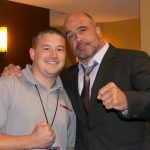 All bouts are subject to change. Doors at the Thurgood Marshall Center for the “Muay Thai in the DMV” event on May 27, 2017 will open at 4pm EST with the first bell ringing in at 5pm EST.